Making credit card payments more tangible is very important as the tangibility of the payment determines how easy (or hard) it would be to make it. Credit card payments, which are easier and less tangible then cash payments, will often result in higher spending as they are simply easier to make. Paying cash will reduce expenses since parting with your bills and coins is harder. However, credit card payments are very convenient and as described in a previous post provide us with a lot of data for later analysis and for budget planning and review as discussed in this previous post about the tradeoff between cash and credit cards. Making credit card payments more tangible would allow us to benefit from both worlds: spending less and enjoying the convenience of credit card payments and the data they provide. How do we make credit card payments more tangible? Back when I first started planning and reviewing my family’s budget I was very eager to stick with it and to achieve my goals. I noticed that by taking daily peeks at my credit card statement on line and reviewing my spending for the last couple of days I developed a very keen sensitivity to credit card spending. The information is readily available on line to each of us and access to our statements is easier then ever. Watching your statement slowly filling up with lines of expenses can be frustrating, especially if you’re on a very tight budget. Taking regular peeks at your statement online will prevent just that. Paying on installments or using credit to finance big purchases distorts your perception of payments and in turn your budgetary status. Furthermore, it makes big expenses, which might be out of your reach in a given budget, suddenly appear possible. Acting and treating credit card payments as actual cash payments will greatly enhance their tangibility and is bound to lower your expenses. Rebates, discounts, promotions and what ever else comes to mind all pale in comparison to the real costs of having more than one credit card. Temptation, combined with readily available credit lines are a financial disaster. Saving 5% on a dinner somewhere pales in comparison to paying 11.5% yearly interest on an express loan of 5,000$. 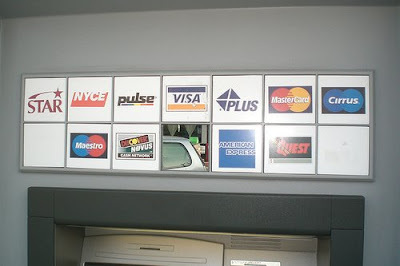 Furthermore, more than one credit card means more statement and more complicated budget management. You’ll quickly lose control over your expenses and finances. Your routine budget planning should include a detailed review of credit card statements. These statements present all the information required in order to plan and review budgets including the obvious sum, purchase itself, dates and also suppliers, interest paid and more. By depending on your credit card statements for budget planning you’ll create the sought after state of mind where credit cards equals expenses. When all else fails a small red light in the right moment just might save the day. Put a little sticker on your card to serve as a red light, a reminder this is actual money. It could be just a small red circle, a little string of text or whatever you think works best. I believe that behavior can change believes. Acting as though credit cards are real money will create that necessary state of mind for you and hopefully save you money. What Does Secured Credit Card Offer?